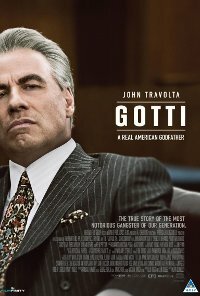 Gotti follows the infamous crime boss John Gotti’s rise to become the so-called ’’Teflon Don’’ of the Gambino Crime Family in New York City. 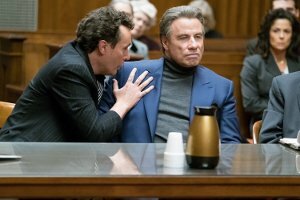 Spanning three decades and recounted by his son John Jr., we get a close-up look at Gotti’s tumultuous life as he and his wife attempt to hold the family together amongst tragedy and multiple prison sentences. Language Strong impact, frequent, used in a form of expression and demeaning manner. Violence Strong impact, frequent, presented realistically. Comments The themes contained in this biographical action drama film are complex and mature including: organised crime, racketeering, extortion, blackmail, assassination, violent intimidation, implied drug dealing, power, betrayal, imprisonment, sacrifice, murder, anger, lies and loyalty presented in dark threatening and menacing style. The film touches on the grief attached to the loss of a child and the violent revenge by the mafia. The themes are of an entertainment value and carry no positive messages that would be beneficial to the younger viewers although biographical. The themes carry the potential to cause psychological and moral harm to viewers who might still be cognitively or emotionally immature. The depiction of the inner workings of organised crime as well as the almost non-chalantly used language would be confusing, distressing and upsetting to viewers younger than the of 16.